Session Focus: This session focuses on Passing, Receiving and Finishing Technique using Volleys. 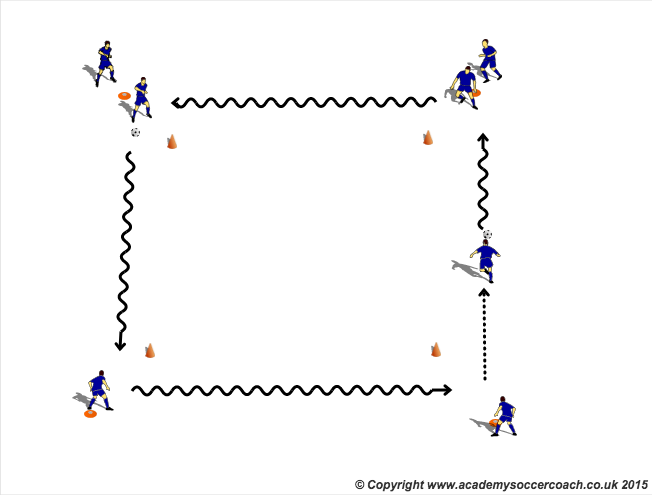 Play starts with player on the ball dribbling clockwise to the next cone and passing to the next player who repeats. Play for 2-3 minutes to allow players to adequately warm up. Focus on technique and understanding the activity before asking players to increase tempo. Players split into two teams, each team has three balls set on top of cones 5 yards away with one player from each team behind the balls acting as a server. The server throws to the person top of the que who must try to volley the ball and knock a ball of the cone. The server is responsible for retrieving the ball and only one ball per team. One team stands at right hand side of a large goal with no goalkeeper and the other team on the left side. First player form each team stands in front of the goals. Next player in line serves and striker must score with a volley and it has to hit the back of the net to count. Side of foot or laces? Good technique, eyes on ball, knee over ball and strike through. 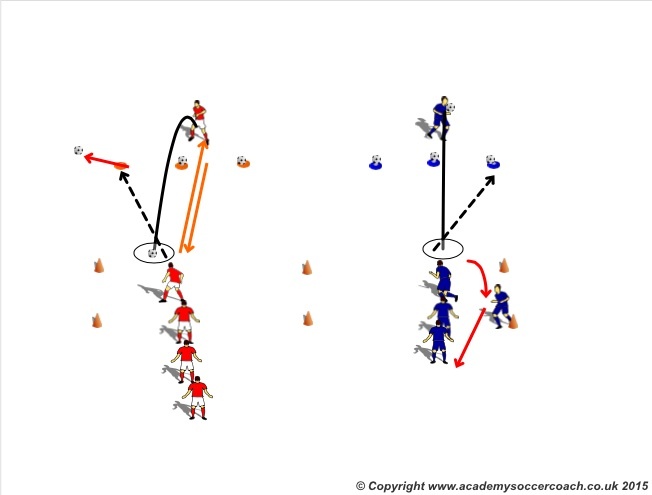 Headers to score – Focus on attacking the ball, don’t be scared of it. How does this apply to defensive header on a Saturday especially from set pieces? 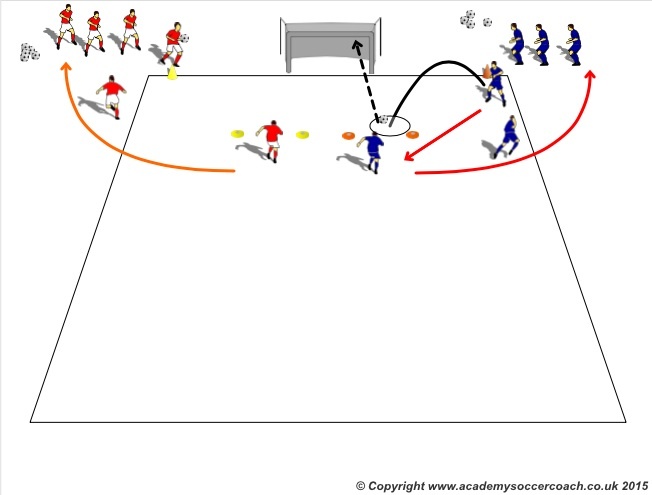 Each team has two small goals to score in, players must attempt to switch play quickly to the opposite wing to exploit space.